When I was a teenager, my grandma narrated this incident during one of such times. Yes, it is one of those times when my uncles were creating such disarray over the estate sharing. She quoted that verse to me and said that it had become a reality in her life. She said “My Sons who I love dearly had become such trouble to me now.” She gasped and continued “Though I came from a rich family married to a government employee (by her parent's choice), I toiled by rearing cattle and selling milk as an extra income to bring up by children” As a teenager all I could do that time was lend a listening ear. Even today the problem persists and she in her mid-80s enduring it and she is probably remembering this verse and going over it again and again. What my grandma didn’t realize was, she has prophesied this verse - the word of GOD, over her life. If she had only read the remaining of Isaiah 54, she would have known the LORD’s promise for Zion, the future of Jerusalem. Today, I rebuke every negative word (even if it's her own words) against my Grandmother in the name of Jesus Christ our LORD and Savior and also fervently praying for her salvation. Yes, we all knowingly or unknowingly believe the enemy’s lie. We also see that come true to our dismay, because we forget we are conquerors in Christ not in one but in ALL walks of our life and we can & should claim our inheritance for GOD ALMIGHTY thru Christ Jesus. 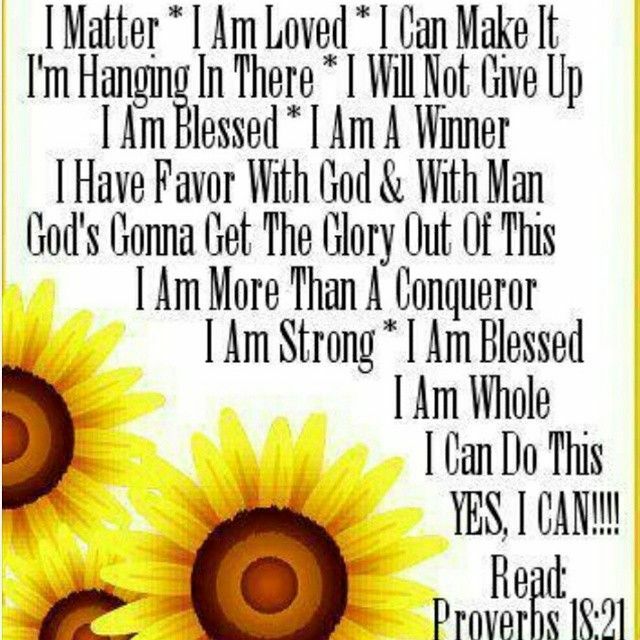 Dear Father in Heaven, We pray and rebuke every negative word spoken, negative diagnosis, negative work done, negative thoughts over us, over our family, over our generation in the mighty name of Jesus Christ of Nazareth. They have no power over us. We call us Holy Nation, HIS Israel and Highly favored of the LORD. Let the will of GOD alone be done in our life. In Jesus mighty name we pray. Amen! 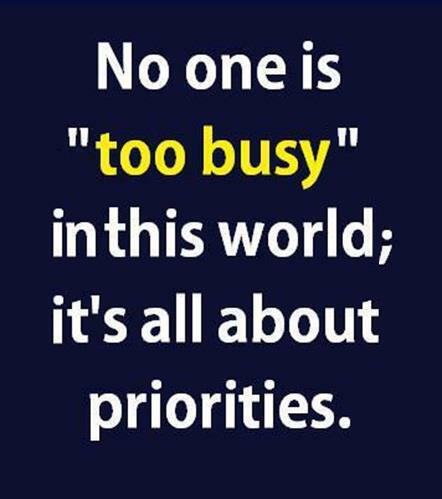 Real busy with your day to day life, So busy that you don’t have time for a prayer for a fellow sister in Christ. 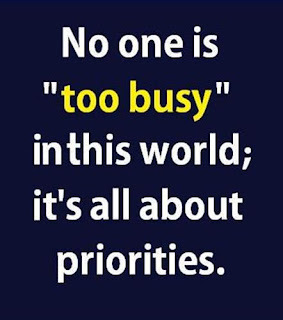 You are so busy that you can’t attend that Outreach Ministry/Worship event to help out your church. So busy, that you can’t write an encouraging note to an ailing believer. Downright busy, that you can’t call a friend who is struggling in faith with the Word of GOD. 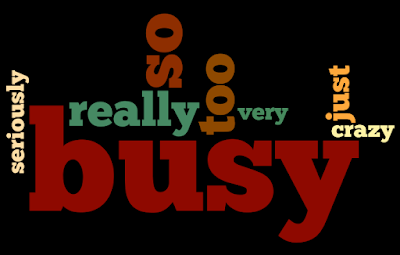 Are we busy? 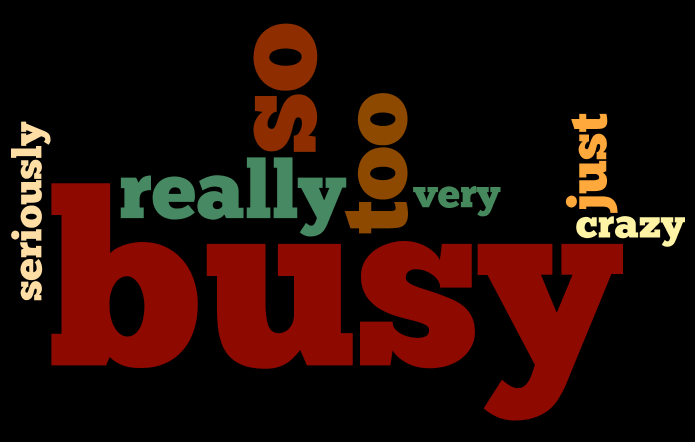 “Busyness” is the business of the world. We are kept to be engaged and to stay busy with our own lives to take notice and help others. Yes, “Busyness” is the business of “this world” But we don’t belong here. Do we? We belong to Heaven. That’s our dwelling. HE sent HIS Chief Angel - Gabriel to talk to Hagar, the slave woman who was not part of HIS big plan for Abraham. OK Probably you can say HE sent Gabriel to Mary to fulfill HIS divine plan. What about others…. HE was/is/will be a busy GOD. But not busy enough to send HIS Son Jesus Christ to wait for the Samaritan Woman (an outcast) at the Jacob’s well. In the Book of Revelation, Chapter 8 says that there is a pause… a silence in heaven when the prayers of the Saints rose to GOD. Imagine; When GOD can take a moment to seek, to reach out, to answer our prayers to attend to our needs, we as HIS Children - the Co-Heirs of Jesus Christ should take a pause, a moment to help that aching Sister or Brother in need. You never know the LORD might have a blessing waiting for you! Remember we serve a mysteriously working GOD and HIS ways are not our ways…. 13 “You are the salt of the earth; but if the salt loses its flavor, how shall it be seasoned? It is then good for nothing but to be thrown out and trampled underfoot by men.14 “You are the light of the world. A city that is set on a hill cannot be hidden. 15 Nor do they light a lamp and put it under a basket, but on a lampstand, and it gives light to all who are in the house.16 Let your light so shine before men, that they may see your good works and glorify your Father in heaven. Let us be a Mary not a Martha (Luke 10:38-42). 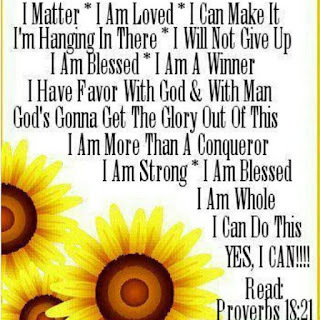 Be Blessed and Be a Blessing! Amen!